Members of Florida Pest Management Assoc., National Pest Management Assoc. Always professional. Marvin is the best. David has always been prompt for our appointments. He is kind, respectful and very thorough in his task. Always willing to answer questions or point out possible problem areas. Outstanding customer service and professionalism, they also clean up their messes quite nicely. Termite inspection was done professionally and on-time. Very pleased with Raul's service to my personal residence. Thanks!! Love the service. David was very professional and thorough. The products used really work. The bug keep dying throughout the year. Superb professionalism and superior customer service! 14+ years with B&B...never disappointed! Regular monthly service is fine and timely. Recent 10-year termite renewal activity was done carefully and showed proper concern when drilling near newly-installed tiles. Have always had a prompt response to any issues. Would recommend your service to others. Great Job Thanks!!! Easy to work with!!! Our techinician, Jamaal Gelsey, was very courteous and professional. He explained what we was doing and what he was looking for during his inspection. Represents your company very well! David is always very professional. I appreciate having the comsistancy of the same person time after time. Appreciate the care, attitude, and knowledge of the person doing the termite treatment. Good annual service to keep the termites at bay. THE young man was very nice and helpful. Prompt, professional and was able to answer any questions I asked. Quickly scheduled and great service! Tech who came to my house was an actual subject matter expert and explained everything that was being done and how it was going to help. Fast, clean, efficient, and very friendly. B and B is a company you can depend on to get the job done. the chemical in the ground, the drilled in the lanai and the paver patio. Also drilled around the garage entrance and the portico at the front of the house all holes were filled with material the same colors as the pavers and lanai. We are completely impressed.Thank you. Nice gentleman. Explains well about the job he’s doing. Respectful. I'm good with your service. I do wish there was a more detailed job description that were performed. Easily the most expensive company in the area. Terrible service. Rude customer service representatives. Terrible turn times. Their pest treatment done on a brand new home doesn't even last for 2 years. If you would like to provide your address, I will be more than happy to look into this for you. We do not have your name or email in our system and we do not service Ohio. Thank you. Randy and Grant were courteous, helpful, and did a good job. The drilling was neat and tidy. Overall an excellent customer experience. Once again, great service, any flaws were quickly addressed and handled. Extremely pleased. Mark did an excellent job re-applying our termite protection. I had same-day service the representative was very knowledgeable and polite I would recommend them to anyone. They have always been great! From the people on the phone to the techs that come out! Today we had our termite inspection done and Raul was very courteous and professional! Great service thanks to all! Very punctual and courteous. they were there on time and did an outstanding job. A+ rating. i had my service on 10-2-18 done by technician Robens Dieudonne. he was very friendly and answered my many questions and complied with all my requests. He showed me what he had done inside and out. this is something new and I hope it continues. I was going to cancel my treatments by B&B but i now know and appreciate all they do. Great service provided, technician answered all questions and concerns. 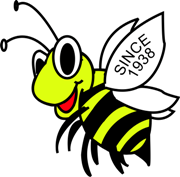 We have used B&B for 15 years and are very pleased with service for both indoor and outdoor bug control. Also we have our termite protection with B&B. All service personnel are well trained, courteous and professional. Service appointments coordination and bill paying are handled by office staff that provides friendly and prompt professional assistance too. I can readily recommend B&B to friends and neighbors. Excellent service with professional technicians. B&B has done a great job for me personally and for my business as a custom home builder. B&B is a professionally operated company. I recommend their service. Pleased with service, and no complaints. We're very pleased with the service we get with B & B. Everyone always cones when they say they will. Everyone is polite and friendly. 5 🌟 🌟 🌟 🌟 🌟.